Looking for a simple and fast backup software for Windows? Don’t be wrong. There are many backup software available out there and sometimes takes time to choose among them. But if you need a powerful, simple and fast backup to cloud storage, this could be the best option. CloudBerry Backup is a secure online backup solution that will help you to store your backup to online storage. There are many cloud storage supported by this online backup. You can put your backup to Amazon S3, and more than another 20 cloud storage. Cloudberry Backup is a rich features Backup and Restore software designed to leverage Amazon S3 technology. This make disaster recovery plan simple, reliable and affordable. 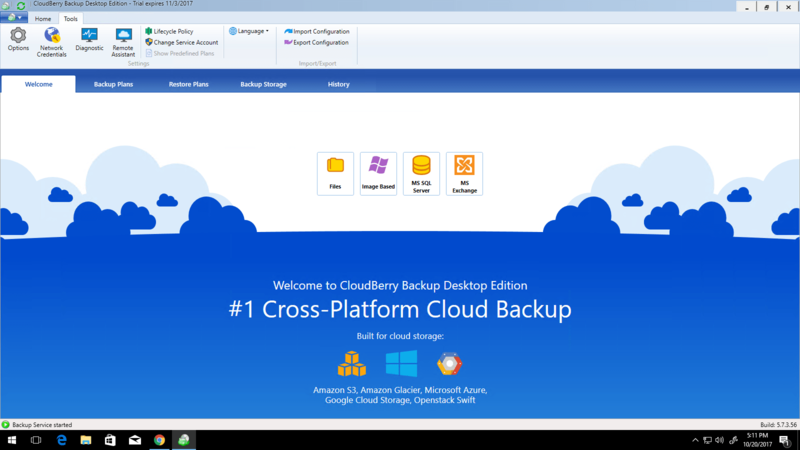 Cloudberry Backup Windows Desktop Edition is simply what I am looking for so far. 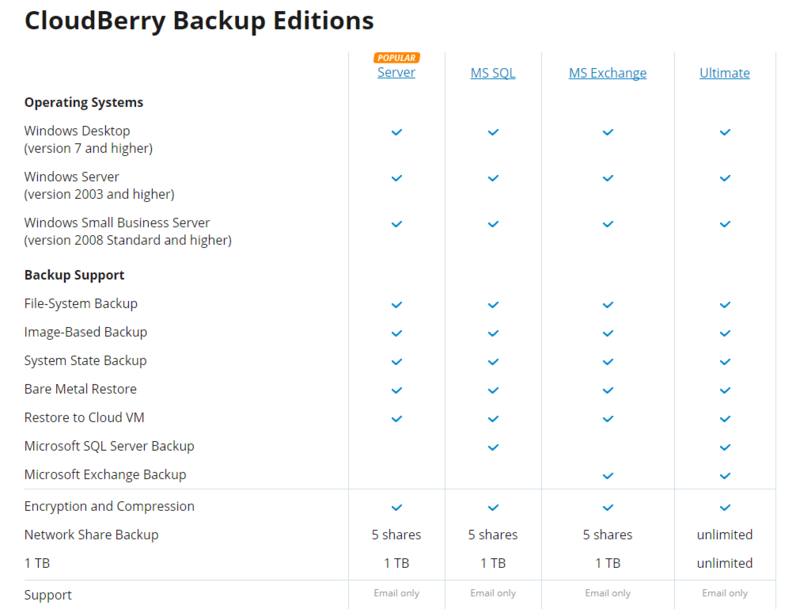 When it comes to features, Cloudberry Backup has it all. You can backup regular files and folders and store them in both local or cloud storage. 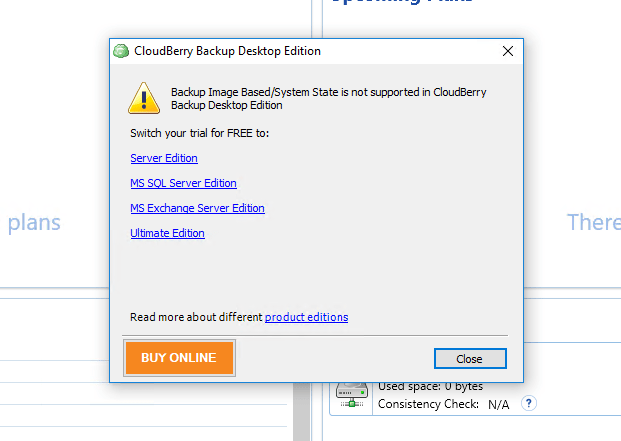 The Cloudberry Backup Desktop Edition lacks support to Image Based Backup, SQL Server backup and MS Exchange. We have to switch to another supported edition in order to use the features. Want this Powerful Backup Software? The hybrid backup mode also very interesting. We can store our backup in bot local/network drive. And at the same time, this program will also backup our data to the cloud. Usually this feature only available on an expensive business class backup software. Which cloud storage are you using? Don’t worry, Cloudberry Backup has them all. It supports more than 20 different cloud storage! This is insane. I have to maximize the application window in order to see them all at once. Say goodbye to a complex backup software. Multiple capabilities doesn’t mean that it has to be complex. Cloudberry successfully bring a simple user interface to handle for all features in the software. You don’t have to be an IT master to be able to use this software. The wizard based backup plan makes everything easier to do. This feature is critical for me and most of users. Cloudberry Backup Windows Desktop comes with a built in encryption feature. Its equipped with 256-bit AES Encryption that ensure your data to be safe during cloud transfer process. Its also comes with SSL protocol encryption. Setup once and you can forget about the backup. This online backup software comes with real time backup feature and schedule. We can set the backup to run in daily, hourly, or at our own desire. You can get Cloudberry Backup Windows Desktop Edition for only $29.99. You will get all filesystem backup with cloud backup supports. We are testing to perform hybrid backup our files to network drive and also Amazon S3. From my perspective, its pretty quick. It says around 7 MB/s, 50 mbps, the peak speed at 12 MB/s and 110 mbps. But overall, I am pretty satisfied with the result. The backup process can be monitored through the main window. And its pretty fun to see what happen in the background when the backup is in progress. The Restore process also very easy. If there are many versions, we can choose which version to be restore. We can pick single file or folder for the restoration process. Also, you can use Search feature. With this search, we can easily type any file we want to restore without having to go through the entire backup folders. 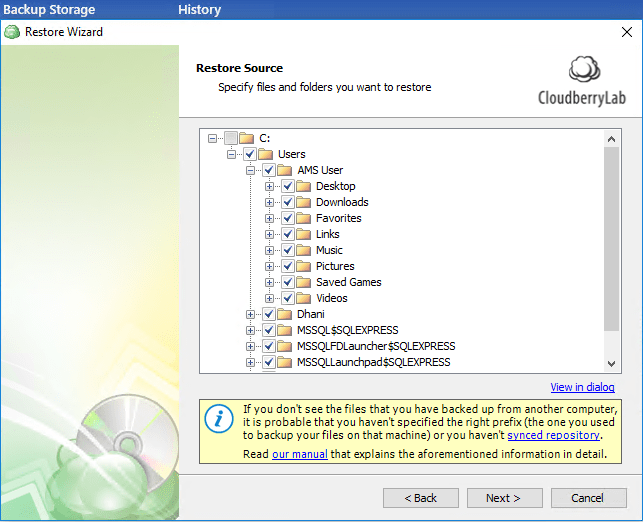 Cloudberry Backup Windows Desktop Edition is a great backup software for Windows. Its suitable for personal users and it comes with many features, many cloud storage supports. The hybrid backup feature is very convenient Also, it is very easy to use. But if you are looking for backup software that support SQL Server database backup, this edition is not for you. You can either switch to server edition or you may consider other backup software. Everything is very open and very clear explanation step by step, thank you for sharing with us, keep moving.